Local Caterpillar Host Plants: Macaranga bancana (Sapotaceae, common name: Common Mahang), Bhesa paniculata (Celastraceae, common name: Malayan Spindle Tree). 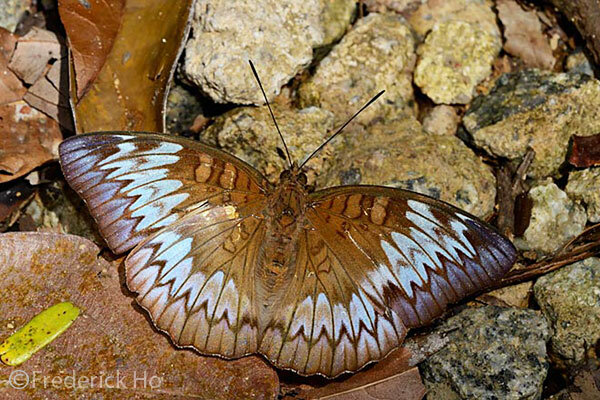 A male Malay Baron, -f. decorata. A male Malay Baron, -f. monina. The Malay Baron exhibits sexual dimorphism. 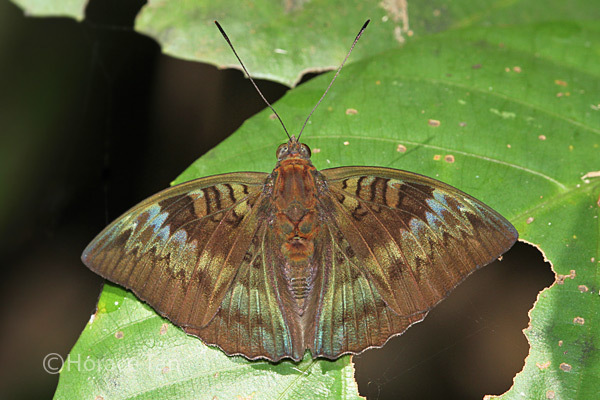 On the upperside, the male is dark brown. 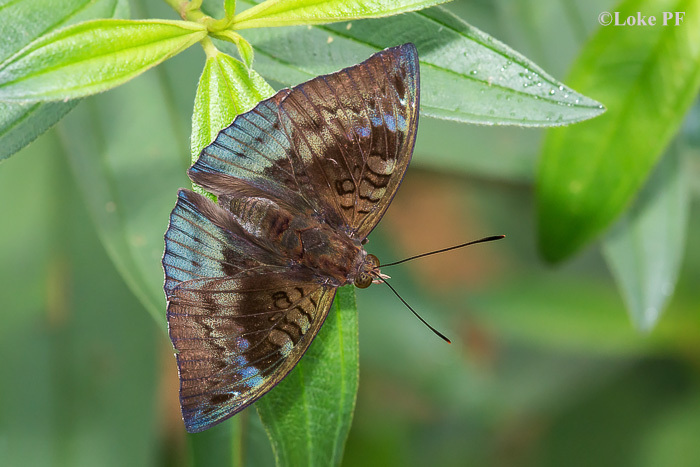 In the typical form -f. monina, the distal border on the hindwing is blue and bears a series of small black sagittate markings. 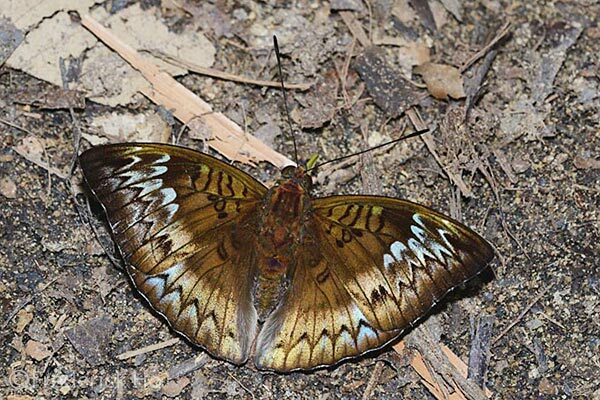 In form -f. decorata, the upperside is paler brown with more clearly defined post-discal fasciae and the hindwing has a coppery green border. 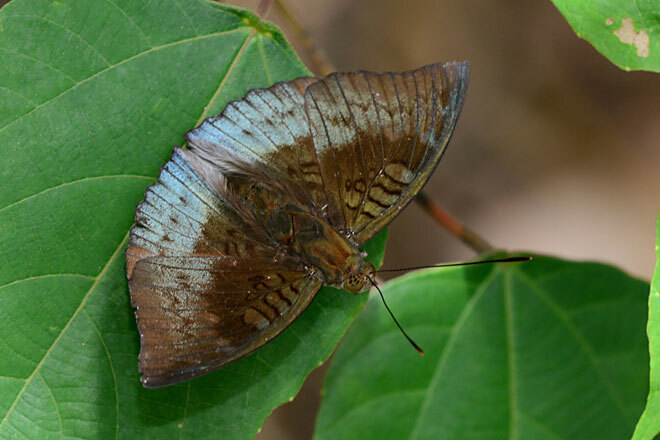 In form -f. gardineri, the upperside is dark brown with obscure fasciae and the hindwing border is not additionally coloured. 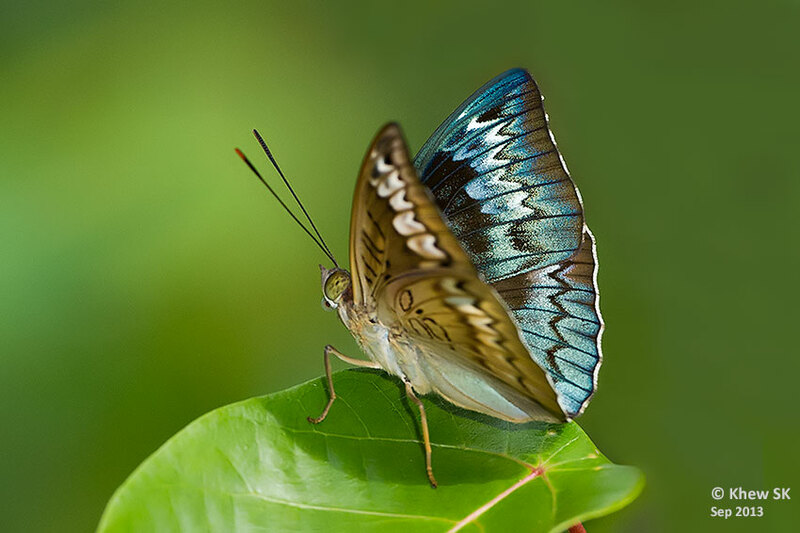 At times, males could appear bearing appearances integrating the above 3 forms. 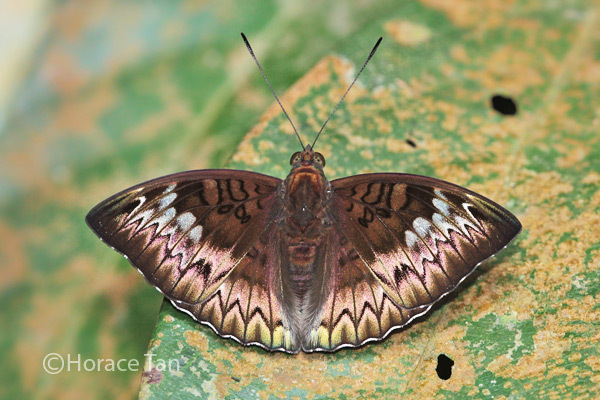 The female resembles the female Tanaecia iapis (Horsfield's Baron) with the exception of the presence of a dark zigzagged line in the white post-discal band on the forewing.